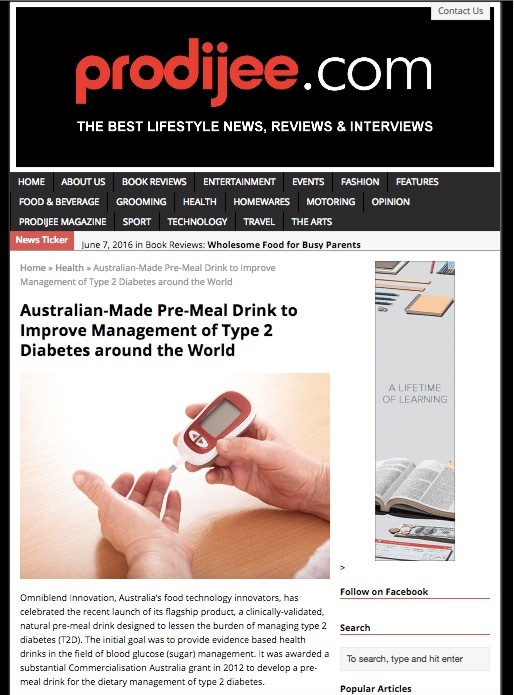 Omniblend Innovation, Australia’s food technology innovators, has celebrated the recent launch of its flagship product, a clinically-validated, natural pre-meal drink designed to lessen the burden of managing type 2 diabetes (T2D). The initial goal was to provide evidence based health drinks in the field of blood glucose (sugar) management. It was awarded a substantial Commercialisation Australia grant in 2012 to develop a pre-meal drink for the dietary management of type 2 diabetes.